Quien me conozca sabe que marzo es un mes importante para mí (días 24 y 29 de marzo; ya os lo recordaré). Ahora además como estoy en el proceso de escritura de una novela en la Roma imperial, también tengo que subrayar el día 15, que corresponde a los Idus de Marzo. ¿Quién no conoce que en los Idus de Marzo fue asesinado Cayo Julio César? Es posiblemente el crimen más conocido de la historia, se sabe quién, cómo, por qué... o eso se cree. Porque hoy, fecha de ese magnicidio, sale a la venta la nueva novela del autor estadounidense Steven Saylor, "The Throne of Caesar" ("El trono de César"), donde nos ofrece una nueva visión y una nueva aventura de Gordiano el Sabueso. Afortunados los lectores de habla inglesa, que ya hoy la tienen disponible en las librerías. En España aún tendremos que esperar unas semanas para tenerla traducida. 1. This book close a cycle of your life and writing. The first time you visited Rome inspired you to write Roman Blood. Did you think 'Some day I will write one novel about Caesar's Death' in that moment? Absolutely not. I thought that Roman Blood would be a single novel. I did imagine writing a series. But my American publisher wanted more, so I thought perhaps a trilogy. Eventually I realized what a marvelous opportunity I had been given, to write an open-ended series of crime novels set in the dying Roman Republic, with no end of murders, trials, conspiracies, espionage, warfare, and other mayhem, all from such a rich supply of sources. Now there are. 2. The HBO production Rome was a great series, released ten years ago, about last days of the Roman Republic and Caesar. Now everybody knows who Caesar was and how he died. Why you dare to write another book about these last days? The challenge of writing a murder mystery about the most famous murder in history drew close and closer. 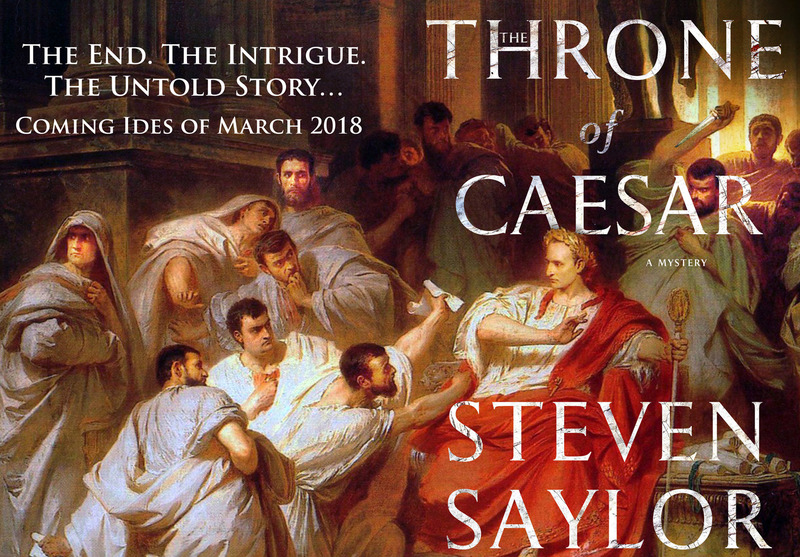 After The Triumph of Caesar I avoided the logical next book, about the assassination, by writing a trilogy of novels about the younger days of Gordianus. At last, at a scholarly conference in (off all places!) Waco, Texas, a professor whispered a single word in my ear (“Make it about…”), and I had the idea for The Throne of Caesar. But of course, I cannot say what that word was, or I would spoil the surprise. 3. Do you travel to investigate the places of your stories? How many times have you visited Rome? What did you discover last time? Believe it or not, I have been to Rome only a handful of times. Most of my more recent visit to Europe have been to other cities, always on book tour (including once to Madrid and twice to Lisbon). Most of my research now is literary, although there are also many remarkable virtual reality models and maps of ancient Rome easily available to everyone. 4. Are your publishers getting nervous because the end of your books about Gordianus? And the readers? Could Gordianus return? I never say never! But The Throne of Caesar does provide a logical and, I hope, a satisfying conclusion. 5. How much of you is in Gordianus, now that he is reaching an old age? At the beginning, with Roman Blood, Gordianus and I were about the same age, young men in the prime of life. Then he grew older faster than I did, and I had to imagine the mind and the voice of an older man. Then I wrote the trilogy of prequels, and had to remember the mindset of a youth in his late teens and early twenties. So, as my alter ego, he has been a useful psychology tool, helping me both to look ahead, and to look back at the stages of life. 6. In your book Catilina’s Riddle you wrote one scene of war with two epic pages, full of emotions. Will the readers find more scenes of war in The Throne of Caesar? No. Caesar is planning the next great war, an invasion of Parthia, with the hope of becoming the next Alexander the Great. But as we know, that did not happen. But I think there is tremendous drama and suspense in the book, as we experience the tension and intrigue of Rome on the verge of the assassination, then the gruesome act itself, and then the turmoil of the city afterwards, in a world suddenly turned upside-down. And there is another shocking crime that occurs after Caesar’s murder. 7. Gordianus is a decent man, very close and human, one among anonymous people trying to survive in difficult times. I think that is one key of his success as character. Will you dare to focus in famous people as main character in next book (i.e. Nero, Tiberius, Caligula ...), or you prefer anonymous people to fiction? My next novel is a third book to follow my family sagas Roma and Empire, about the fortunes of an aristocratic family from the earliest beginning of Rome to the height of empire. This new book will span the period from Marcus Aurelius and his son Commodus to Constantine, the first Christian emperor. It will be a very interesting journey. The lives of common people will be included, but also some larger-than-life royal figures, like Queen Zenobia of Palmyra, and Elagabalus, the teenaged transvestite emperor. He had a very short reign, but he made a big impression. 8. When did you realize you could earn your living as a professional writer? Very gradually, because all through my twenties I did editorial and writing jobs for small newspapers and magazines and made very little money. It was only well into my thirties, after my fourth novel, The Venus Throw, that I finally found an agent and I began to get well-paid contracts from my publisher. 9. How your daily routines as a writer are? I get lazier as I get older. I get up a bit late, spend a couple of hours on facebook and email doing business and promoting my books, then, if the sun is out, I go to a swimming pool, sometimes on the University of California campus, and I swim for an hour. Then I like to sit by the pool in the shade, and either read for research, or if I am writing a book, I write on my laptop for two or three hours. Then I do some errands on the way home, dinner, and then a few hours watching Scandinavian crime shows on TV. I do my best writing by the swimming pool. It’s a very California lifestyle. 10. Is this book the real end of Gordianus? Who can say? Some readers keep reminding me that I have never revealed his Roman praenomen. Perhaps I need to write a short story that includes that detail. Or, since I did a research trip to Israel a few years ago, perhaps we will discover that Gordianus went to Jerusalem as a young man, after the events of Wrath of The Furies. He may yet appear in print again. 11. Will you promote your book outside United States? Alas, I have no plans for any travel to the UK or Europe now. But I do try to let readers know when a book is published in their country. 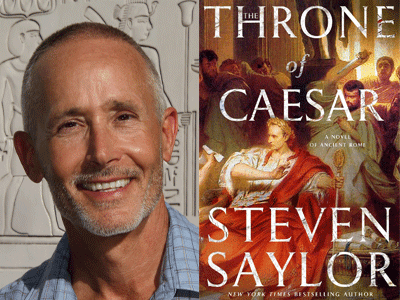 Readers should sent an email to steven@stevensaylor.com and I will put them on my email list. 12. Thank you for your attention. Add anything you may consider. Can you give one piece of advice to people who want to write his first book and is afraid of it? The book you should write is the book you are longing to read that no on else has written yet. You must have a great desire to see this story told, because it will demand so much of your time and effort. Write a book you would love to read. 1.- Este libro cierra un ciclo en tu vida y en tu escritura. La primera vez que visitaste Roma te inspiró a escribir Sangre Romana. ¿Pensaste en aquel momento ‘Algún día escribiré un libro sobre la muerte de César’? De ninguna manera. Pensé que Sangre Romana sería una novela sin continuación. Imaginé sobre escribir una serie. Pero mi editor americano deseaba más, así que pensé en escribir quizás una trilogía. 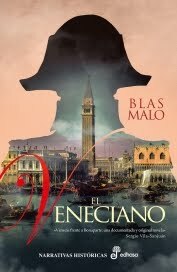 Poco a poco me di cuenta de la maravillosa oportunidad que se me había concedido, escribir una serie de novelas de crímenes ambientadas en la agonizante República Romana, con un sinfín de asesinatos, juicios, conspiraciones, espionajes, guerra y otras desgracias, todas escritas con todos esos jugosos recursos. Y así han llegado hasta ahora. 2.- La serie Roma, producida por la HBO, fue una gran serie, estrenada hace diez años, sobre los últimos días de la República y de César. Ahora todo el mundo sabe quién fue César y cómo murió. ¿Por qué te atreviste a escribir otro libro sobre estos últimos días? El desafío de escribir una novela de asesinato y misterio sobre el asesinato más famoso de la historia se fue perfilando más y más. Después de El triunfo de César evité continuar con el siguiente libro que era lógico, sobre su asesinato, escribiendo una trilogía sobre los días de juventud de Gordiano. Al final, en una conferencia universitaria (¡vaya un lugar!) en Waco, Texas, un profesor murmuró una única palabra en mi oído (“Piensa en esto: …”) y de ahí tuve la idea para El Trono de César. Pero claro, no quiero decir qué palabra fue, o arruinaré la sorpresa. 3.- ¿Viajas para investigar los lugares de tus historias? ¿Cuántas veces has visitado Roma?¿Qué descubriste en ella la última vez? Lo creas o no, sólo he estado en Roma un puñado de veces. La mayoría de mis recientes visitas a Europa han sido a otras ciudades, siempre en giras de promoción literaria (incluyendo una vez a Madrid y dos a Lisboa. La mayor parte de mi investigación es literaria, aunque hay muchos modelos destacables de realidad virtual y mapas de la antigua Roma al alcance de todos con facilidad. 4.- ¿Están tus editores nerviosos por el final de tus libros sobre Gordiano? ¿Y tus lectores? ¿Podría Gordiano regresar? ¡Nunca digas nunca jamás! Pero El Trono de César proporciona un final lógico, y espero que satisfactorio, a la serie. 5.- ¿Cuánto hay de ti en Gordiano, ahora que el personaje se acerca a la vejez? Al principio, en Sangre Romana, Gordiano y yo éramos de la misma edad, hombres jóvenes en lo mejor de la vida. Entonces él envejeció más rápido que yo, y eso me obligó a imaginar la mentalidad y la voz de un hombre más mayor que yo. Entonces escribí la trilogía de precuelas, y tuve que recordar la mentalidad de un joven en el final de su adolescencia y principio de sus veinte. Así que, como mi alter ego, él ha sido una útil herramienta psicológica, ayudándome a mirar hacia adelante y hacia atrás en las etapas de la vida. 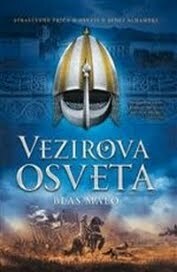 6.- En tu libro El Enigma de Catilina escribiste una escena de guerra en dos páginas épicas, llena de emociones. ¿Los lectores encontrarán más escenas de guerra en El Trono de César? No. César está planeando la siguiente gran guerra, una invasión de Partia, con la esperanza de convertirse en el nuevo Alejandro el Grande. Pero como sabemos, eso no sucedió. 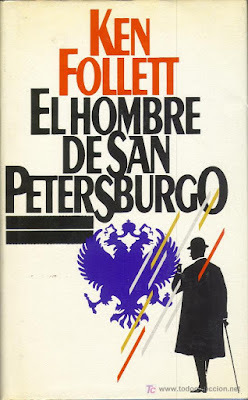 Pero creo que hay tremendo drama y suspense en el libro, cuando experimentamos la tensión y la intriga de Roma en el instante de su asesinato, en el tremendo acto, y en las revueltas de la ciudad después, en un mundo vuelto de repente del revés. Y hay otro crimen intrigante que sucede después de la muerte de César. 7.- Gordiano es un hombre decente, muy cercano y humano, uno entre la gente anónima que lucha por sobrevivir en tiempos difíciles. Creo que es una de las claves de su éxito como personaje. ¿Te atreverás a centrarte en gente famosa como personaje principal en tu próxima novela (Nerón, Tiberio, Calígula…) o prefieres ficcionar desde personajes anónimos? 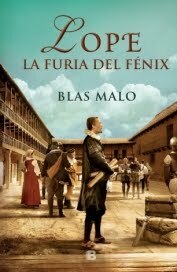 Mi próxima novela es el tercer libro de una trilogía que continúa mi saga familiar Roma e Imperio sobre suerte de una familia aristocrática desde los inicios tempranos de Roma hasta la cumbre del Imperio. Este nuevo libro abarcará el periodo desde Marco Aurelio y su hijo Cómodo hasta Constantino, el primer emperador cristiano. Será un viaje interesante. Las vidas de la gente común también estarán, pero también algunos grandes personajes de la realeza, como la reina Zenobia de Palmira, y Elagabalus, el emperador adolescente travestido. Tuvo un reinado muy corto, pero me impresionó mucho. 8.- ¿Cuándo te diste cuenta de que podía ganarte la vida como escritor profesional? Muy poco a poco, porque a lo largo de mis veinte hice trabajos editoriales y de escritura para pequeños periódicos y revistas y gané muy poco dinero. Fue bien entrado en mis treinta, después de mi cuarta novela, La suerte de Venus, cuando finalmente encontré un agente y comencé a conseguir contratos bien pagados desde mi editor. 9.- ¿Cuáles son tus rutinas diarias como escritor? Me vuelvo más perezoso con los años. Me levanto algo tarde, paso un par de horas en facebook y en el correo haciendo negocios y promocionando mis libros, entonces, si hay sol, voy a la piscina, a veces al campus de la Universidad de California, y nado una hora. Luego me siento junto a la piscina a la sombra y leo para documentarme o si estoy escribiendo un libro, escribo en mi portátil dos o tres horas. Luego ando un poco camino a casa, ceno y veo unas horas programas sobre crímenes en Escandinavia en la televisión. Donde mejor escribo es en la piscina. Muy del estilo de vida en California. 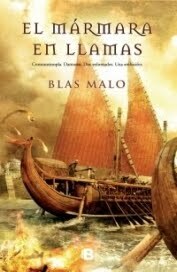 10.- ¿Es este libro el final real de Gordiano? ¿Quién sabe? Algunos lectores me siguen recordando que nunca he revelado su preanomen romano. Tal vez necesite escribir una pequeña historia que trate ese detalle. O, ya que hice un viaje de investigación a Israel hace unos años, a lo mejor descubriremos que Gordianos fue a Israel cuando era un hombre joven, después de los hechos de La ira de las Furias. Quizás pueda regresar de nuevo. 11.- ¿Promocionarás tu libro fuera de los Estados Unidos? De momento no tengo planeado viajar al Reino Unido ni a Europa. Pero me esfuerzo en dar a conocer a mis lectores cuándo se publican mis libros en sus países. Los lectores pueden enviarme un correo a Steven@stevensaylor.com y les pondré en mi lista de correo. 12.- Gracias por tu atención. Añade cualquier cosa que desees. ¿Puedes dar un consejo a aquellos que desean escribir su primer libro pero aún tienen miedo? Debes escribir el libro que estés deseando leer y que no ha sido escrito todavía. Debes tener un gran deseo de ver esa historia contada, porque te exigirá mucho tiempo y esfuerzo. Escribe el libro que te encantaría leer. 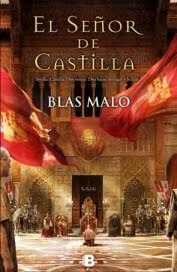 Escribir una novela histórica es hacer de relojero para encajar de la mejor manera posible múltiples engranajes hasta lograr que todo tenga armonía y funcione. Incluso los mejores escritores mejoran mediante ensayo y error. Ken Follet comenzó en 1980 a escribir el esquema maestro del que sería su cuarto libro. Tardó ocho meses y cuatro versiones en lograr que todo encajara antes de ponerse a escribir el primer capítulo. Puede encontrarse un análisis de su libro en el libro que años más tarde publicó su agente literario Albert Zuckerman, libro que recomiendo sin ninguna duda. 2. Rusia, que se suponía era el protector de Serbia, movilizó su ejército sin mucho convencimiento (la movilización significa llamar a los reservistas, armarlos y enviarlos a la frontera por ferrocarril). Al principio Rusia se movilizó sólo parcialmente contra Austria. Pero entonces los generales rusos se dieron cuenta que esa movilización parcial les hacía vulnerables contra un ataque de Alemania, aliado de Austria, así que ordenaron la movilización total. 3. Una vez que Rusia se movilizó contra Austria y Alemania, por supuesto, Alemania se vio obligada a movilizarse. Sin embargo, el problema de Alemania era que Rusia estaba aliada con Francia, y los generales alemanes temieron que mientras ellos se movilizaban contra Rusia en el Este, Francia podría atacarles desde el Oeste. Decidieron resolver este problema intentando dejar a Francia fuera de combate con un ataque relámpago. Así que Alemania invadió Francia. 4. El plan alemán para invadir Francia suponía atravesar Bélgica. A nadie le importaba mucho Bélgica, a pesar de que existía un antiguo tratado (1839) que permitía (pero no obligaba) a Inglaterra defender la neutralidad de Bélgica. Sin embargo, a Inglaterra sí le preocupaba Alemania, que estaba creciendo con rapidez y amenazada el control británico de los océanos, el comercio mundial y las colonias. Así que cuando Alemania invadió Bélgica, Gran Bretaña usó el tratado de 1839 como una excusa para declarar la guerra a Alemania. 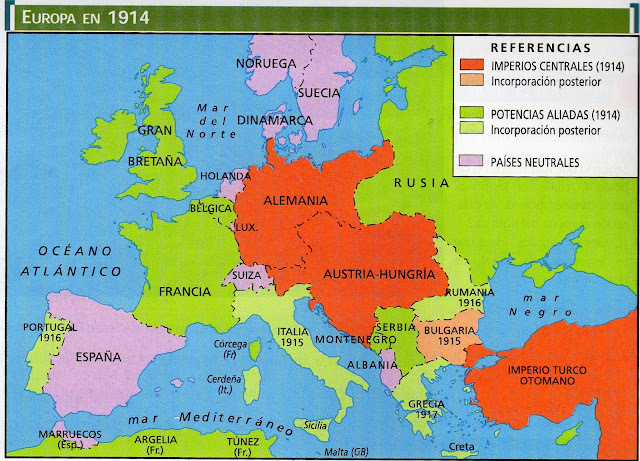 Y así es como una disputa entre Austria y Serbia condujo a la guerra entre Inglaterra y Alemania.